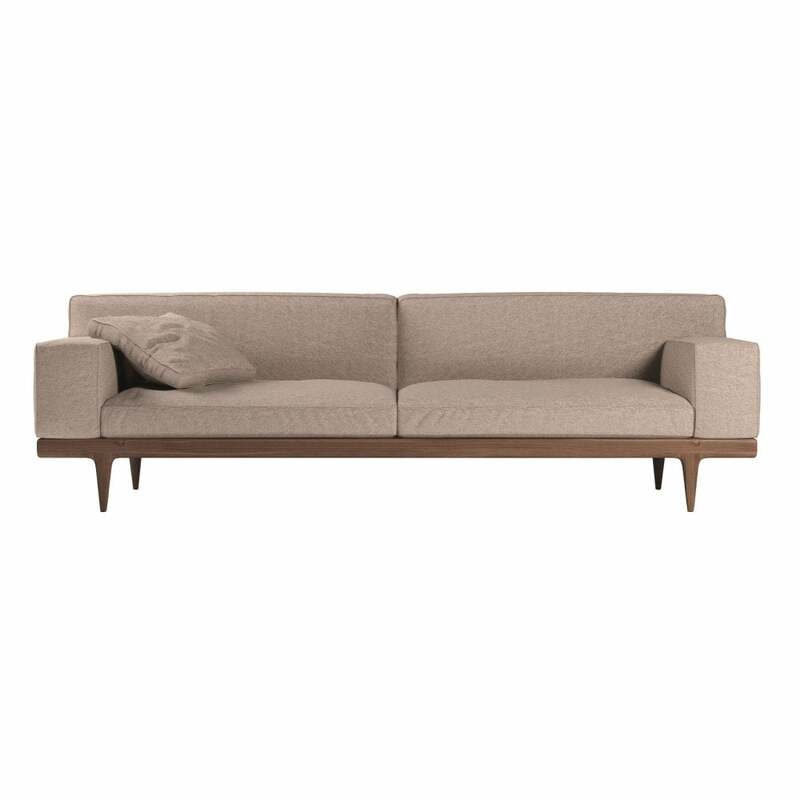 The Sunday Sofa has a strong look in it's contemporary styling, the angular lines are immediately pleasing to the eye, whilst creating a very clean, structured profile. The beautiful combination of natural materials also draws your attention in the smooth American Walnut frame, shaped with rounded edging and thin tapering legs complimenting the high quality upholstery. The supporting frame is made from a combination of solid woods and the upholstery filled with top quality polyether foam. The cushions also have a sectioned covering of down mixture for added comfort, the seat cushions are also removable.